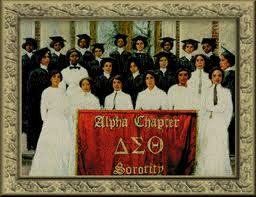 Delta Sigma Theta Sorority, Incorporated is a sisterhood of college educated Black women committed to public service. Delta Sigma Theta was founded in 1913 on the campus of Howard University..
Today we have over 950 chapters and we convene nationally every two years. 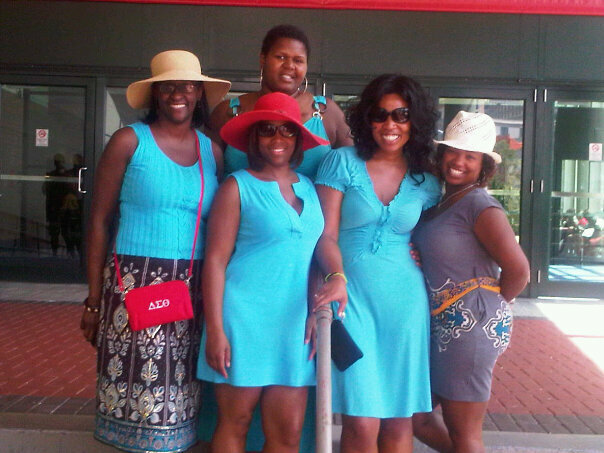 In 2010 the National Convention of Delta Sigma Theta Sorority, Inc. was in New Orleans, Louisiana; my favorite US city…. The New Orleans assembly was my first national Delta convention – that’s probably the reason that my line sisters and I mixed up the dates. We arrived on a wednesday and stayed until monday. The convention didn’t actually begin until that saturday and it lasted until the following saturday. As a result, we had three days of down time and only two days of convention. That was fine with me, though; I was happy to have down time in New Orleans with my sorority sisters. We stayed at the JW Marriott. The hotel was Qiyana’s choice and it was a good one. My favorite amenities were the gym and the roof top swimming pool; we made sure to take advantage. There were five of us in the room: Qiyana, Talithea, Monica, Kim and myself. I felt comfortable staying with those five; they had been there when I was at my worst. I could be myself with them. No performance. Around that time I was becoming very particular about who I spent time with; I was concerned about making people uncomfortable. My humor was off (I was making a lot of sarcastic remarks about death by this time), and I remained on the brink of a spontaneous breakdown in every moment. I felt it was best to spend time with people who would not be alarmed by my moods. We had a good time, the New Orleans JW Marriott was definitely the next comfortable place where I would stay. We worked out, swam, ate, shopped, and laughed a lot. It was great. As the week progressed, Delta Sorors began to fill the city. Thousands of Sorors. It was incredible, a sight to behold. My mom (also a soror) arrived on Friday and by saturday it was time for the formal opening ceremony. Cynthia M.A. 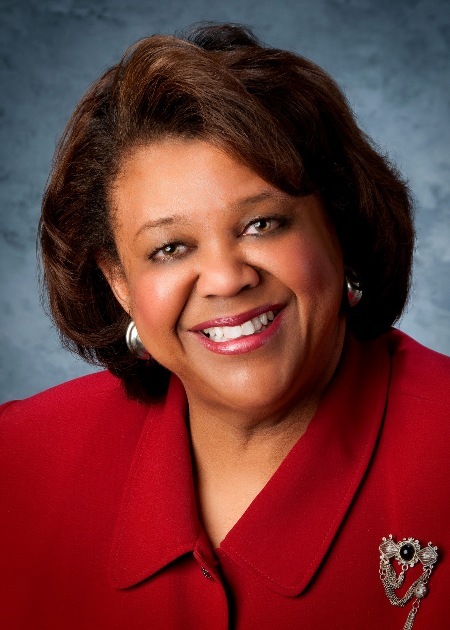 Butler McIntyre - National President of Delta Sigma Theta Sorority, Inc.
I’ll never forget the sound of her voice as she said it. She was so confident. So sure. I had to find Susan Taylor. Susan was also in New Orleans because she received a national award from the Sorority that week. I was hoping that I would bump into her, but by sunday evening I’d had no luck. On Monday, as we were preparing to leave, Talithea and Kim ran into her; she was signing books in the convention center. Knowing how desperate I was to see her, they called me and told me to get there quickly. There was a short line and I stood in it. As I inched closer I began crying. She saw my sadness and hugged me before she knew who I was. I was overwhelmed. I said “I’m Margot’s daughter, Kim… You sent me these books.” I could hardly get it out. She hugged me again, more tightly this time; she knew immediately who I was. Love emanated from her. “Oh Kim..” she said, “of course.” There were two other women around that she knew, she called them over and she told them what happened. we all hugged. It was time to go and I was well. 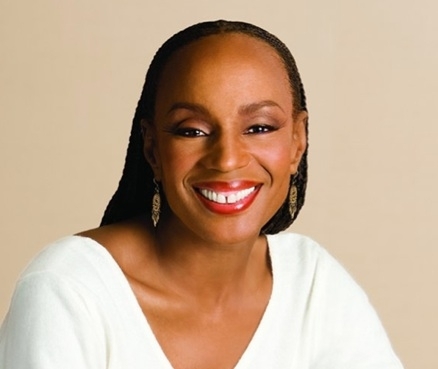 I had seen Susan Taylor, this amazing writer that I’d been connecting to in my grief; we’d hugged and shared a moment, she even gave me her cell number. I could leave New Orleans now; seeing her was an emotional high. and on the plane back to New Jersey, I was about to have an emotional low. I don’t know what came over me but as we boarded the airplane, I lost it. Kim, Talithea and I flew together and I finally had the breakdown I’d been fearing all week. I sat in the window seat and sobbed and sobbed. They did not react, which I appreciated. They let me cry it out. “I’m going to cut all of my hair off tonight” I announced. Upon hearing this, the two of them looked at me like I was nuts. But I kept insisting, and I was also insisting that I had to do it that night. “Don’t you at least want to wait until the morning and have a professional do it?” Talithea asked. But by that point it was too late. I’d made a decision. I would stop by Target on my way back to Princeton and buy some hair scissors. I was definitely cutting my hair off. And I was not going to wait for tomorrow..